Mary is a young woman living a simple life in Nazareth, when an angel's visit changes her life forever. She has been chosen by God to bear him a son. She alone amongst women has been chosen to bear the agony and the joy. From the moment of his birth, she knows that Jesus's life will be like no other: she has been warned of the pain that lies ahead. When Jesus begins his work, how will she react to her increasing awareness of the dangers facing her son? When Mary experiences anguish that no mother should ever experience, is her faith strong enough to sustain her? Might there be grounds for joy in the midst of such brutality? 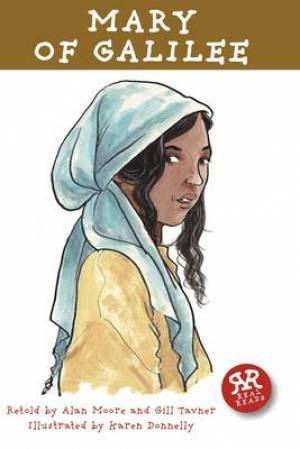 Mary of Galilee by Alan Moore; Gill Tavner was published by Real Reads in March 2010 and is our 34855th best seller. The ISBN for Mary of Galilee is 9781906230258. Be the first to review Mary of Galilee! Got a question? No problem! Just click here to ask us about Mary of Galilee.